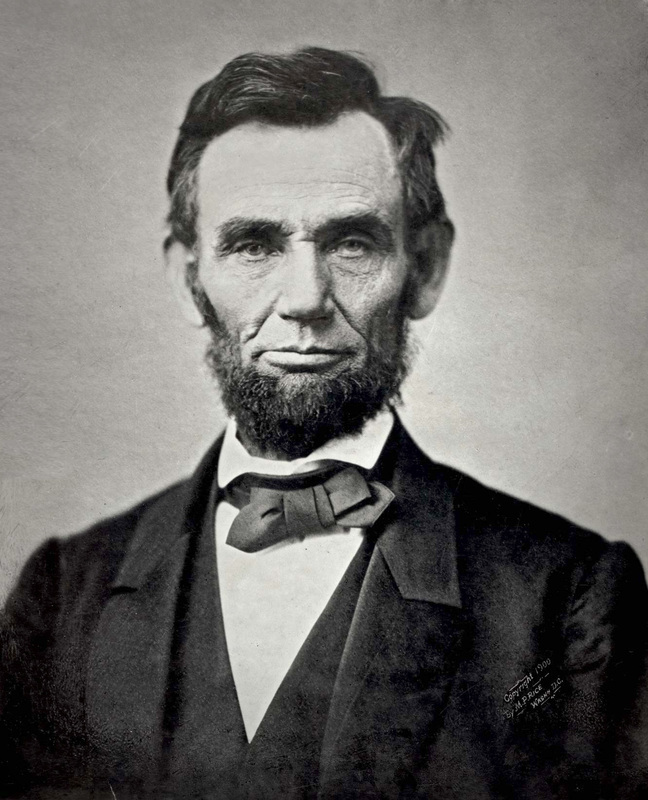 Guest Post: Learn Little-known facts about Abraham Lincoln! Are you interested in learning more about our sixteenth president? The public is invited to a free presentation of “Young Mister Lincoln,” a fictionalized movie biography of our 16th President, which will be screened at the Dover Public Library on Wednesday, April 8th at 5:30. Larry Koch will host the program. Larry is a Lincoln expert, who will give you the most incredible stories about Abe, down to the types of jokes he thought were funny and when he thought they were appropriate. Don’t miss this event! July was a typically warm month in New Salem Illinois in 1831. If you were people-watching on your porch you would not have found the tall, gawky, flat-footed farm boy particularly unique. Abraham Lincoln was 22 year old, and owned little more than the ill-fitting homemade buckskin clothes on his back. His pants barely reached his shins, and when he stretched or bent over his long underwear peeked out from the bottom of his raggedy trousers. Such outlandish, rustic attire was hardly worth a second glance in a western frontier community. According to Lincoln “I was a friendless, uneducated, penniless boy… a piece of floating driftwood.” Needless to say, no matter how bizarre Lincoln might have appeared to a perhaps more discerning observer, the quotation that “you can’t tell a book by its cover” was never more apt. Within a few years Lincoln was a prominent and noteworthy young politician. In the future, of course, he would be elected president, confront the most deadly challenge to the Republic since its’ founding, built the greatest army in the world, defeat the formidable forces of disunion and end slavery in America. Interestingly, even on that first day in New Salem, Abraham Lincoln, perhaps inadvertently, advanced personal liberty and helped legitimize an increasingly trend-setting pattern in American society. Social mobility in pre-bellum America was severely limited by tradition and circumstance. People in general followed in the occupations of their family and ancestors. The overwhelming occupation of Americans at that time was made up of subsistence farmers, and in the great majority of cases their children similarly followed in their parents’ footsteps. People generally lived and died within ten miles from where they were born. Special circumstances and survival issues (apprenticeship opportunities or loss of land fertility, for example) of course were exceptions to these accepted patterns, which otherwise continued for generations. Lincoln rejected the expected option to be a farmer, like his father, for startlingly different reasons. He would often say his father taught him farm work, but not how to like it. He enjoyed poetry, theater, and reading history, and simply did not find fulfillment in the hard physical, demanding work of the agrarian lifestyle. His desire to do something else was based on personal preference and ambition rather than any particular disaster or specific marketable skills. The Lincoln who arrived in New Salem had no money, no contacts, and no idea initially about what he wanted to do. A nineteenth century observer would hardly find that Lincoln had left the world he knew to simply survive, and the Town of New Salem, population 100, hardly offered any special opportunities. It was enough, however, for Lincoln. The 22 year old and future president did have ambition, a pleasant personality, a willingness to learn and work hard, and eventually rose in New Salem society to become a surveyor, a postmaster, a storekeeper and eventually a lawyer and party leader. Today it is not unusual to find people who choose an occupation and lifestyle based in large measure on what they enjoy doing, not what was the traditional occupation of their family, class or region. In fact it is the basic American promise that here one can exceed one’s parents’ station through commitment, hard work and learning. Generations have been assured that they can grow up to be anyone they want to be, even the president of the United States, as long as they apply themselves. The man who more than anyone else established that national ideal was the farm boy who moved to the town of New Salem in July of 1831. Interested in this pivotal American story? The public is invited to a free presentation of “Young Mister Lincoln,” a fictionalized movie biography of our 16th President, which will be screened at the Dover Public Library on Wednesday, April 8th at 5:30. The director is the legendary John Ford, and, in perhaps his best performance, Henry Fonda stars as Abraham Lincoln. Lincoln defends in court two brothers accused of murder. As a movie prequel to the great events that would follow, you will gain insight into the life events that shaped a future president. A brochure will be shared with the audience that will identify historical accuracies and errors, movie goofs, and other information about “Young Mr. Lincoln.” I will be hosting this program, and I look forward to seeing you, and telling you about other Dover Library offerings celebrating the 150th anniversary of the end of the American Civil War.